Huawei is a leader in the LTE market according to the newly-released Magic Quadrant for LTE Network Infrastructure by Gartner, a world leading advisory and research firm. Gartner evaluated the end-to-end (E2E) LTE infrastructure vendor’s completeness of vision and ability to execute in the report. According to Gartner analysts, we believe Huawei outperforms other market players with its rapidly-expanding market share, large-scale commercial network deployment, and a comprehensive portfolio of innovative hardware and software products. Huawei’s LTE solution is growing increasingly popular, gaining recognition as a first choice for many leading global operators. Huawei advocates the ‘4.5G Evolution, Road to 5G’ strategy, by supporting operators to implement cutting-edge technologies on existing 4.5G networks to achieve 5G-like experience, testing innovative services and incubating new business models. This helps operators to consolidate an advanced 5G business blueprint, to secure early mover advantage within the industry. Future 5G networks will adopt cloud technologies for enhanced resource utilization and agile service provisioning. 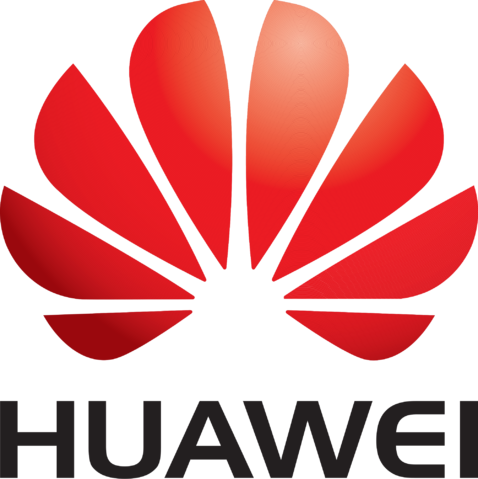 Huawei’s innovative CloudAIR solution cloudifies wireless air interface resources to increase radio resource utilization and reduce the deployment period of new radio access technologies (RATs). Huawei CloudAIR GL spectrum sharing solution has contributed to the business success of operators such as Bharti India and True Thailand. Huawei takes the lead in deploying 4T4R/8T8R, together with higher-order demodulation technology and carrier aggregation of multiple component carriers on 4G networks to achieve 5G-like data rate in the pre-5G era. By June 2017, Huawei had provided commercial 4T4R products for more than 110 global operators. For 8T8R, Huawei launched the world’s first FDD 8T8R networks for VIVA Kuwait, and Europe’s first FDD 8T8R networks for T-Mobile Netherlands. The 8T8R configuration increased the user rate by 85% and reduced TCO by 40% compared with the 4T4R approach. Huawei also tested commercial 32T32R Massive MIMO on China Unicom’s FDD 20 MHz networks and the data rate reached 593 Mbps, such verification has greatly expedited the commercialization of Massive MIMO. New services such as mobile video, wireless home broadband (WTTx), Internet of Things (IoT), and LTE integrated Trunked Radio (LiTRA) are among Huawei’s efforts in helping operators extend commercial boundaries, innovate business models, construct a favorable ecosystem, and pursue an early start in exploring the 5G blue ocean. Today, Huawei provides wireless network solutions and services to more than 500 operators in both emerging market and developed countries, covering over two billion users. As of June 2017, Huawei ranks first in the telecom industry with the construction of over 290 LTE commercial networks, serving over 100 capital cities worldwide. Huawei has been awarded 90 4.5G commercial contracts and this number is estimated to hit 120 by the end of 2017. Operators worldwide are adopting the ‘4.5G Evolution, Road to 5G’ strategy by introducing 5G technologies, further enhancing 4.5G network capabilities, trialing 5G services and hatching new business models to realize 5G-like experience. Such an approach helps operators build competitiveness for the 5G network ahead of time and ensure future business success.